I'm so excited to share not one, not two, but THREE cards with you today. 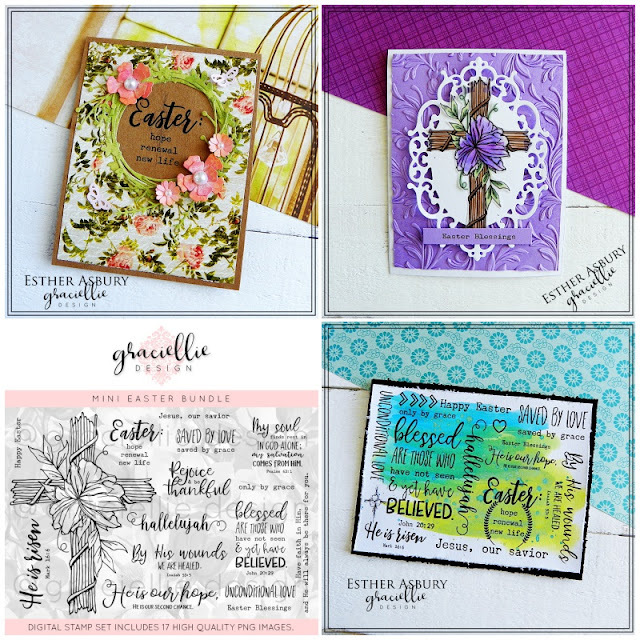 All of my cards feature Graciellie Design's brand new Mini Easter Bundle digital stamp set. For this first card I featured one of the crosses in this set (there are actually two - one is not pictured) and went with an "elegant" style by using one of my favorite floral embossing folders. I printed my cross on vellum and colored the reverse side with Touchfive markers. For my second card I created a "Subway Art" styled card featuring the sentiments in this stamp set. I love ALL the sentiments in this set and thought this was s good way to show them off. I saved my favorite card for last.....For this card I featured one of the sentiments from the set by created a pretty spring wreath around it. Absolutely gorgeous creations Esther! 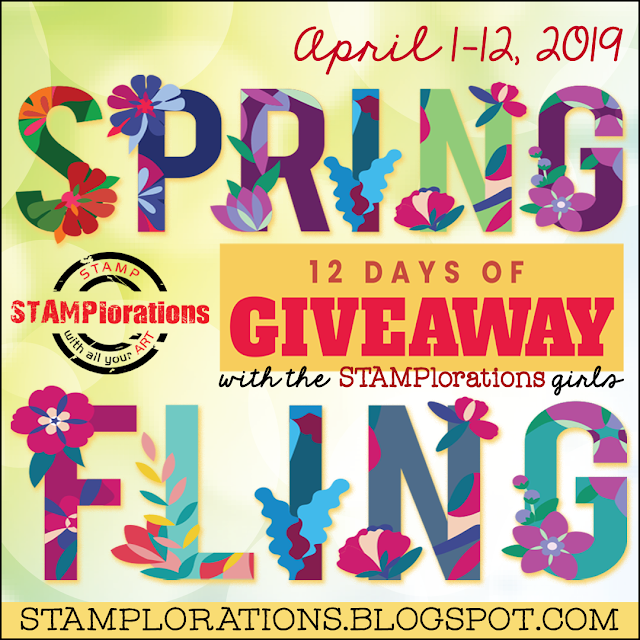 Thanks so much for playing in our ‘Anything Goes using dies from companies carried at the DRU Store’ challenge at Dies R Us. Good Luck and please come back again soon! Wonderful cards, Esther! I especially love the cross card! I'm working on Easter cards & you've given me beautiful inspiration! Ester, what a lovely Easter card. The wreath is so pretty framing the sentiment. 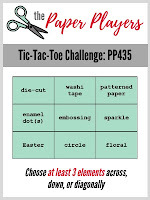 Thanks for sharing with us at Dies R Us Challenge Blog. We hope to see more of your designs in future challenges. WOW!! All the cards are absolutely gorgeous!! Thank you for joining our challenge at Dies R Us! A trio of beautiful cards Esther - the last one is my favourite too! A lovely sentiment and beautifully framed with your floral wreath, which ties in with your floral papers beautifully. 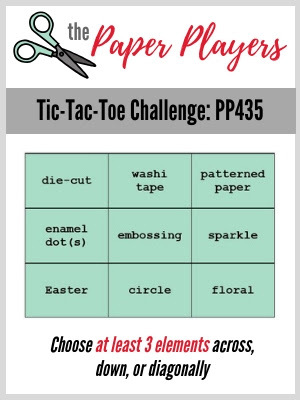 Thanks for playing along with us over at The Paper Players this week! these are so pretty, I realized making my Easter cards this year I don't have enough religious themed ones, love how you have done these. Love the sentiment on the last too!